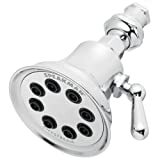 Are you looking for a solid metal showerhead? Speakman might be for you. 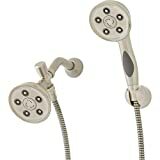 They have some of the best solid brass shower heads as well as durable, and affordable, plastic models used in hotels and resorts around the world. 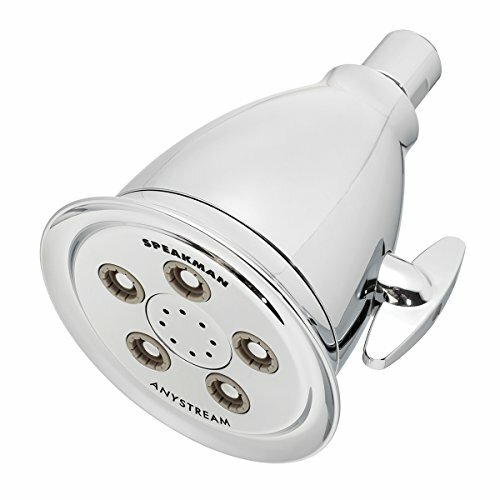 Speakman showerheads are generally known to be simple, durable, and powerful. You won’t find any LEDs or gimmicks on these showerheads. 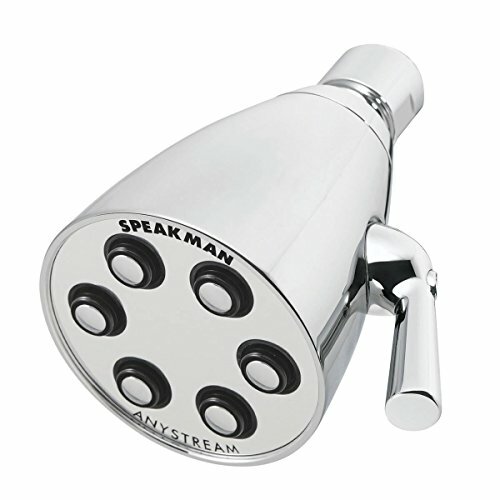 Additionally, the Speakman Reaction showerhead has a turbine engine to improve performance in low pressure conditions. The Speakman S-2251 is solid brass and has eight adjustable jets with a 2.5 GPM flow rate. There are lower flow rate models available. The self-cleaning plungers mean you don’t have to worry about mineral build up. The solid metal design means no cracking plastic or leaks from plastic failure. That’s worth the investment. 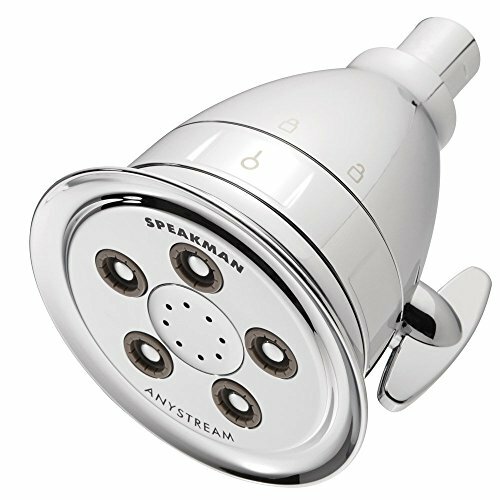 If you’re looking to buy a handheld/fixed combination showerhead, we think there are better options than Speakman. Specifically, something like the Moen Magnetix Handheld Showerhead has a magnetic dock for the handheld, which is incredibly convenient. 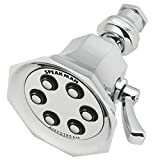 If you like the Speakman style, then our top pick, the Speakman Napa VS-232007, is an excellent choice for a dual shower head but doesn’t have a sophisticated docking mechanism. If you want to read more about our recommended dual showerhead models, then check out our article here. There are 8-jet and 6-jet models available for the Icon, Vintage, and Retro Anystream showerheads. The 8-jet models produce better water coverage but are noticeably more expensive. The 6-jet model is exceptionally popular, and reviews are overwhelmingly positive, so despite the fewer jets, the performance is still strong. Speakman offers seven different finish options on the Icon Series showerhead. In addition to color, you can also get a retro or vintage design instead of the smoothly curved body of the Icon. In addition to the finish color options, you can get any of them with either 1.75, 2.0, or 2.5 GPM flow rates. All of the finishes are corrosion resistant, and the showerhead itself is made from solid brass. The Speakman S-2251 has 8 adjustable jets instead of 6, like the S-2252. They both have the same style and finishes available, but the additional water coverage from the S-2252 just pushes it ahead performance-wise. The 64 individual sprays have a nice overlap that gives that satisfying warmth we usually seek instead of the sparse, concentrated sprays that satisfying. The spray options are simple and go from a light, sharp stream to a flood of aerated water. The great thing about these color options is that it’s easy to match up with your existing valve and tub spout if you need to. 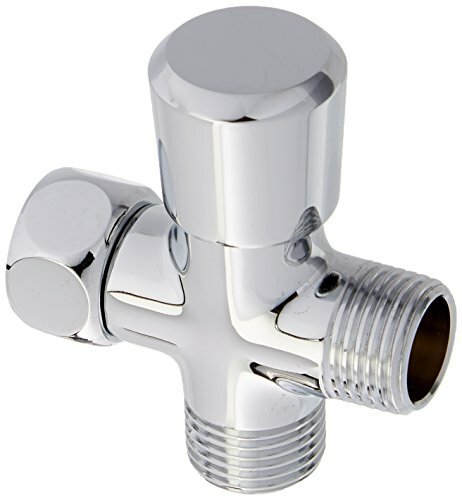 Polished Chrome is the traditional choice, and likely what you will have seen in a hotel that uses Speakman shower heads. The plungers allow for surprisingly powerful performance even under low pressure conditions. Just like the S-2251, the plungers are self-cleaning and resist hard-water buildup. The Speakman S-2252 is one of the most popular models and only differs from the S-2251 in that it has 6 jets instead of 8. That reduces the overall number of individual sprays from 64 to 48. The solid brass body and simple style are appealing if you’ve ever had a plastic showerhead bust. There are many different finishes available if you want something different than the traditional polished chrome. The prices vary greatly depending on the finish you choose. The water pressure is impressive, and even more so if you decide to remove the flow restrictor. If you’re not willing to pay the extra cost of the S-2251 and get the 8 jets, we don’t think you’ll be disappointed. The S-2252 is the more popular model (likely since it’s less expensive), and there are a ton of satisfied users. The Speakman Icon Anystream models, either S-2251 or S-2252, have the most color options. If you like the Retro or Vintage look, then you’re limited to polished chrome, brushed nickel, or polished brass finishes. Below are links to more information on other shower heads available from Speakman. They have much more to choose from if you’re looking for rain, handheld, or combination showerheads. Also, their turbine-engine shower heads enhance water pressure and are great if you struggle finding a satisfying showerhead with your home’s water pressure. Here are some models that we didn’t include in our top list, but might be right for you. These models are, for the most part, more affordable than our top picks. Also, the S-2005-HBF is a filtered showerhead that removes excess chlorine from your water. Why Choose a Speakman Showerhead? Regarding performance and features, there’s no difference between the 8-jet Icon, Retro, or Vintage showerheads. They’re made of solid brass and have 8 plungers that produce 64 individual sprays. The choice is just about aesthetics. The smooth body of our top pick, the S-2251 Icon, has a simpler shape, while the Retro and Vintage models have classic “church bell” silhouette. The S-3015 Retro–shown above–has a circular face, whereas the S-2255 Vintage has an octagonal face. If the 8-jet models don’t fit your budget, then consider the 6-jet models instead. They have the same flow rate and overall design. The 6-jet Icon Anystream showerhead is very popular and is an excellent bang for your buck. Fewer jets means you’ll get slightly less water coverage, but the overwhelmingly positive reviews on the 6-jet models suggest most people are very satisfied with 6 jets. In the above example, you can see the Retro showerhead installed alongside the Caspian handheld. You can achieve this by adding in a diverter valve between your fixed showerhead and the handheld hose. You don’t have to buy those combination sets with the fixed and handheld showerheads already together. You can mix and match to get the exact shower experience you want. The diverter shown above has a standard 1/2″ NPSF inlet and 1/2″ NPSM outlet. It’s made of solid brass and you have the option of getting a polished chrome or brushed nickel finish. 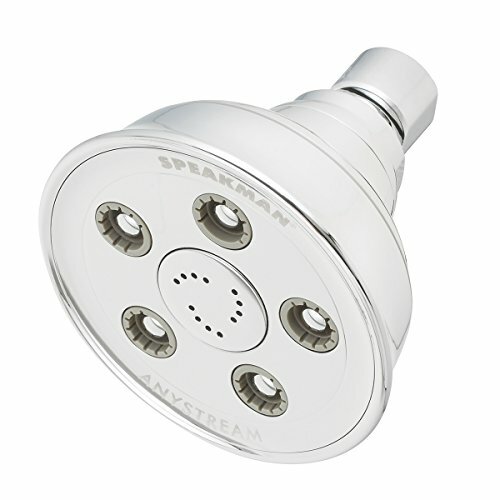 The S-3019 is the Vintage variant of the 8-jet solid-brass shower heads available from Speakman. It has a classic bell shape with an octagonal face. The main difference between the Vintage and the Icon is the number of color options. The Vintage only comes in polished chrome, whereas you have 7 options with the Icon. Speakman’s Anystream nozzle system and pressure-compensating Autoflo limiter allow these shower heads to thrive in low-pressure conditions. If you have water pressure issues in your home, then these are a great option to consider, along with Speakman’s turbine-engine shower head. 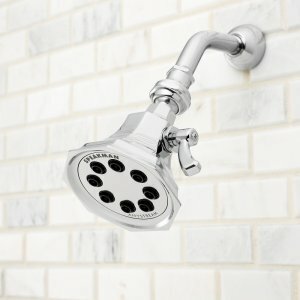 What makes rain shower heads unique? A large array of small jets that results in near-complete water coverage of your whole body while standing directly under it. “Drenched” is the common word to describe how a rain showerhead is supposed to feel. 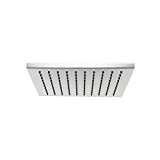 Rain shower heads have a large surface area and feel more like the water is falling on you instead of being sprayed at you from an angle. To achieve a rain-like effect, you need to mount the showerhead so that it’s sitting horizontally above your head, so the water falls on you. The length and width (or diameter) of the face also helps create the rain effect by having a wider spray area than standard cone-shape showerheads. Mounting a rain showerhead correctly is critical to get the desired effect. This usually means using a different type of shower arm than a typical fixed showerhead. You can mount a rain showerhead from the ceiling or use an extension arm. To get the drenching rain effect, the showerhead ideally needs to be centered over where you stand in the shower. You may need an extension arm to get enough distance from your shower wall. Do you have to replace the shower arm that you currently have installed? 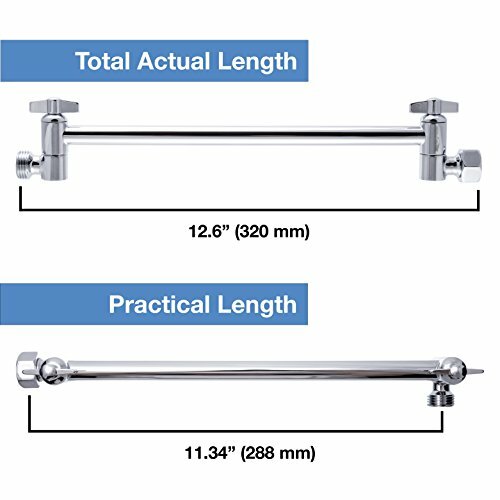 This adjustable extension arm can be connected to your existing shower arm and give you a lot of flexibility for positioning yourself in the shower to get maximum water coverage. Also, if you’re tall, this is a great way to get some extra clearance between your head and the rain showerhead. If you would like to replace your current shower arm with one more suitable for rain showerheads, then consider a high arc or L-shaped shower arm. High-arc shower arms are great if you need more height, while L-shaped shower arms will extend directly out from the wall. 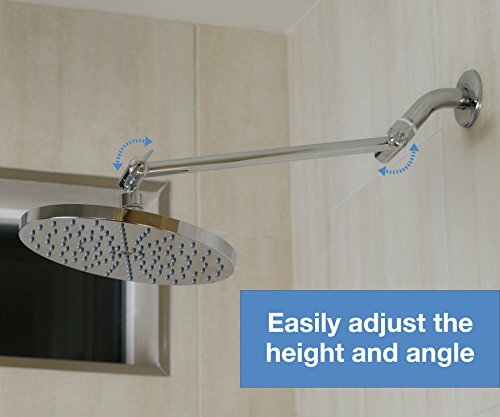 Keep in mind that your rain showerhead will be at a lower height than the shower arm position. 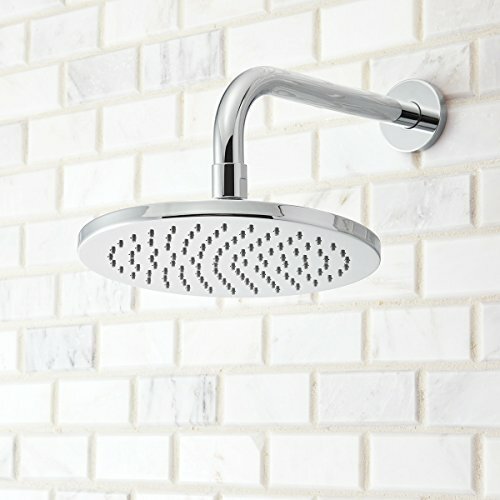 Raises showerhead 4.7″ above wall connection. The adjustable arm has a lot of advantages. Since you can add it to your existing shower arm, it’s the easiest solution and in doing so you add more distance between the wall and where you’ll have to stand to get the ideal shower. 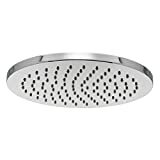 Don’t forget Speakman also has a square rain showerhead, the S-2763 Kubos. 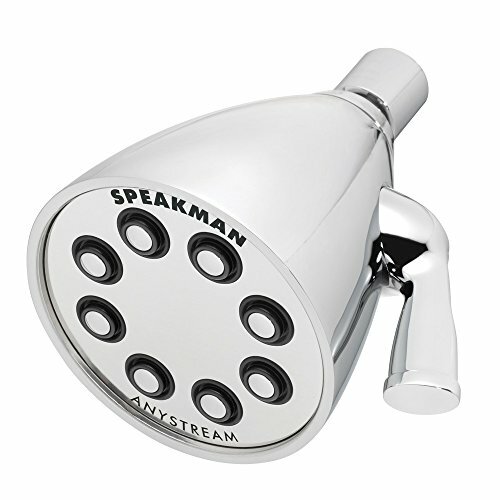 This is one of the more widely-used, and recognizable, showerheads from Speakman. It’s super affordable and is made from durable plastic. 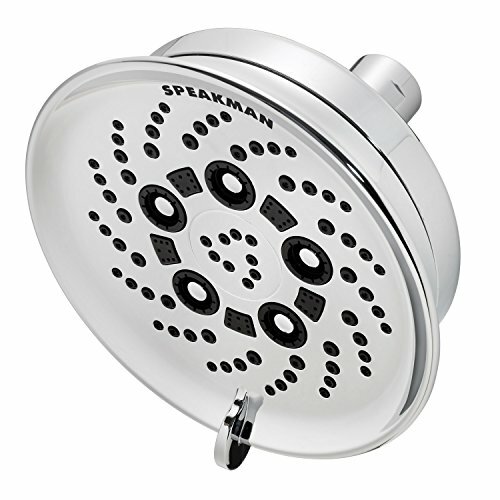 It’s the showerhead that you may have used in hotels or resorts, and is how Speakman gained its popularity. Hence the “Hotel” name. Anystream technology that allows the user to effortlessly transition between spray settings and evenly distributes water. Self-cleaning plungers resist mineral buildup, and are easy to clean. There are also several color options. 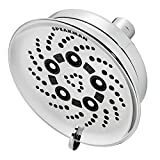 In summary, the Speakman Hotel shower head is a tried and true, top performing shower head that’s affordable. 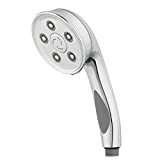 It has most of the same features as the S-2251, our top recommended fixed shower head, but has a durable plastic body and a different jet design. The spray pattern for the Neo is similar to the Hotel model above, but the center jet pattern is different and the Neo has a few more jets. Aside from that, the spray options are the same. The S-2005 Hotel model and this Neo shower head are both made from durable plastic. The Neo is also packaged with Speakman’s Dual Shower Head Combo, a combination packge of fixed and handheld shower heads. Self-cleaning plungers resist mineral buildup and are easy to clean. So the difference is mainly about aesthetics. The disc-like shape of the fixed Neo shower head matches the included Neo handheld. The Neo also optionally comes with a Matte Black finish, which isn’t available with the Hotel shower heads. The Assana has a huge array of sprays, 149 to be exact, and they range in size and intensity. The 5 distinct spray patterns activate diffferent combinations of the jets for intense, massage, flood, rain, and pause settings. To change settings, you simply rotate the face of the shower head. So what’s different about the Speakman S-2005-HBF? It has a built-in filter which removes up to 99% of chlorine in your water. Different areas of the country (or world) use varying amounts of chlorine to produce the sanitized water that is delivered to your home. Naturally, this depends on the quality and characteristics of the water in your area. Chlorine can adversely affect the health of your hair and skin, and the purpose of this shower head is to help prevent that. Do you dye your hair regularly? A chlorine filter can help make your hair dye last longer. The filter needs to be replaced every 6 months. It’s extremely easy, and you just need to take off the front face of the showerhead and pop a new filter in. You do not have to completely remove the showerhead. 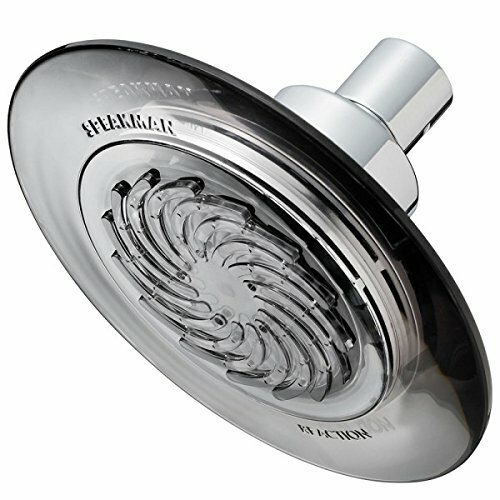 Just like the other Hotel Series showerheads, the Speakman S-2005-HBF has a primarily plastic body with a chrome finish. The fittings are metal where it attaches to the water pipe. This shower head is designed to deliver 2.5 gallons of water per minute. 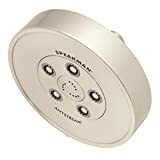 It utilizes Anystream technology, which means that the flow can be adjusted to use different combinations of sprays by merely adjusting the knob on the side of the showerhead. There are five jets, and eight massage jets that can be used individually or they can all be used together for a more spa-like experience. Have you got weak water pressure? This showerhead only has a single spray setting but has a turbine-powered engine to assist with low water pressure. 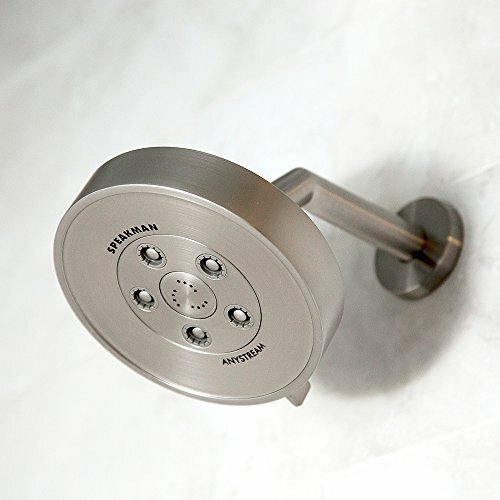 Speakman claims the Reaction concentrates and optimizes water pressure to create a powerful, pulsating shower experience despite low water pressure conditions. You must be thinking: this has got to be expensive. 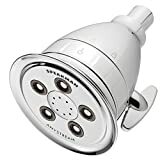 Well, it’s one of Speakman’s most affordable showerheads and is on par with their Hotel fixed shower head line. The sprays are optimized such that they don’t intersect and this results in a more full-feeling shower. Handhelds can be used as your primary showerhead, or in conjunction with a fixed shower head as long as you have a diverter valve. You can add a handheld to your existing shower setup, or completely replace your showerhead with a new fixed and handheld showerhead combination. Your existing shower arm will work in most cases, and there isn’t much work involved in the installation. Most combination showerhead sets come with all the parts needed for installing the set on an existing shower arm. If you’re wanting to mix and match your fixed and handheld shower head, e.g. not buy a pre-packaged set, then you’ll need to think about a few things. 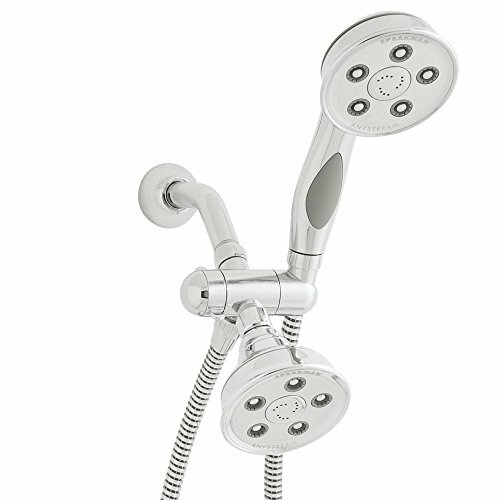 Some showerheads, such as rain style, will need a more extended shower arm than a typical fixed showerhead. You can add an adjustable extension to avoid replacing your existing shower arm. Each handheld has a dock designed to fit that specific showerhead, and since you may be using an unrelated fixed showerhead, you’ll need to mount the dock on the wall next to the fixed showerhead. Handhelds are great if you require seated showering or have pets that you frequently bathe. Getting a handheld showerhead with a height-adjustable slide bar adds even more convenience. First up, we have the Caspian handheld, and below you can check out some more options. The Caspian is similar in spray pattern and style to the S-3010 Neo fixed showerhead we looked at above. You get 5 adjustable jets that produce 40 individual sprays, and a 60-inch metal hose and bracket. Many handheld showerheads do not come with metal hoses, and the coating on plastic hoses sometimes deteriorate rather fast, so it’s nice to see metal at this price point. 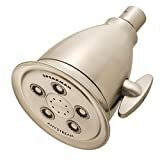 One of the common issues with handheld showerheads is being able to reliably position them in their dock and keep them pointed in the right directed when you’re using them like a fixed shower head. Maybe the hose gets tangled or flexes and the showerhead twists as a result. Even bumping the hose with your arm can sometimes cause the showerhead to need repositioning. In any case, using a combination of a fixed and handheld showerhead is a popular choice that allows you to go from one to the other by adjusting a valve. Then you don’t have to worry about the handheld positioning. 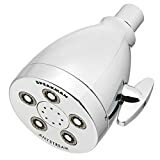 If you think the combination showerhead system is what you need, then keep in mind there are a ton of ways to do it and many different showerheads to choose from. The combination systems are convenient in that you can be sure the individual parts will connect together as intended, and there would be no question about responsibility if a warranty issue arose. 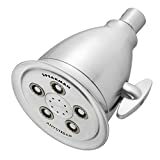 Check out our review of combination showerheads from a variety of manufacturers, including Speakman, for a list of more options in this category. You can use the images below as a guide to see how each model mounts. Some require you to mount the handheld separate from the fixed showerhead, while others have the dock built into the diverter valve. The Chelsea has an adjustable slide bar, that’s also ADA compliant, for changing the height of the handheld position. This is great if you need to shower while sitting or need to wash animals. 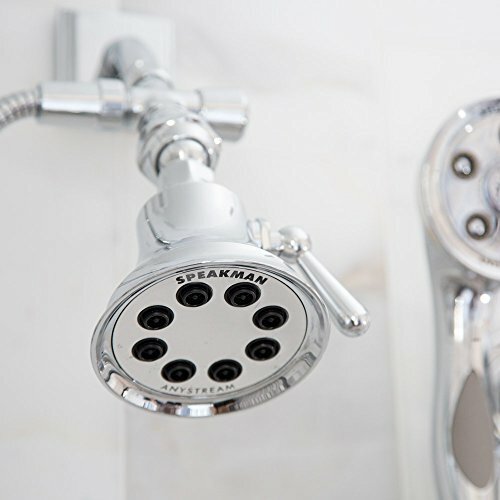 Speakman is a major player in the plumbing business since 1869, so it is no surprise that they have high-quality options available when it comes to showerheads. They specialize in fixed showerheads capable of transforming low-water pressure into forceful, fully-adjustable sprays. You’re not going to find a Speakman with 12 spray patterns and LED lights. These shower heads have it where it counts. Majority of people run into a Speakman showerhead in a hotel they stayed in on vacation and fell in love, or just word of mouth. 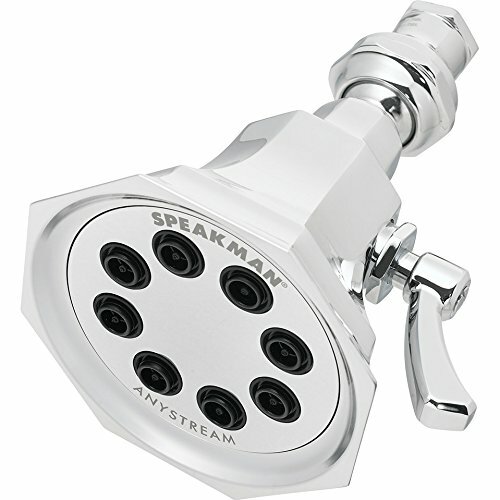 Many hotels use Speakman showerheads due to their durability and low cost. The solid brass models are very reliable. Many showerheads these days are plastic covered with a metallic finish. The core components are plastic and won’t stand up to the test of time like solid metal. Regarding performance, some models perform exceptionally well in low-pressure conditions, which can improve your shower experience, or help with water conservation efforts. Specifically, the Speakman Reaction is engineered to keep flow to a minimum without the user noticing a reduced flow rate. For commercial applications, this can mean significant reductions in water costs. Many of the models that are currently available from Speakman have a solid brass body and a polished chrome finish. This design gives a traditional bathroom a classy look at an affordable cost.